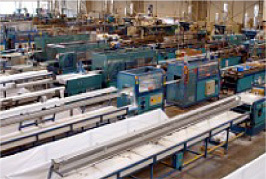 SLS is your reliable partner when it comes to the production of hollow or solid profiles. We offer you an extensive range of high-quality profiles made with the know-how of professionals. However, this is still not the end: We can also produce profiles with an enormous stability: if required, they can be reinforced with a glass-fibre and/or steel insert. We can also master special requirements of the electrical industry by using conductive resp. antistatic materials. 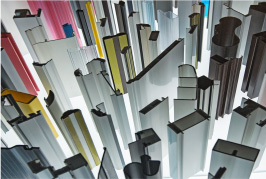 Our customers come from the following industries: window and façade, metal construction, automotive, machine building, electrical, packaging, furniture, household goods, insulation as well as from the DIY sector. There are (almost) no limits to the design of customised products. Together with you we work on your ideas and develop tailor-made solutions. Our development team is looking forward to any challenges! We would be happy to consult you - please do not hesitate to contact us!